For private space companies, space entrepreneurs, and their financial backers, the reemergence of a National Space Council is a notable development—especially considering the current state of the entrepreneurial space industry. Given the important role commercial space companies are playing in America’s space initiatives, the private space sector is invariably entwined in this new Council’s agenda—for better or for worse. Several iterations of the National Space Council have functioned since the middle of the 20th century, with varying degrees of success. Bush Sr.’s Council was itself a throwback to the early days of American space exploration. In 1958, Congress enacted the National Aeronautics and Space Act, a seminal piece of legislation which created the National Aeronautics and Space Administration—NASA. This Space Act also established the National Aeronautics and Space Council, an advisory body charged with helping the president to “survey all significant aeronautical and space activities, including the policies, plans, programs, and accomplishments of all agencies of the United States engaged in such activities” (Title II, Sec.201d). 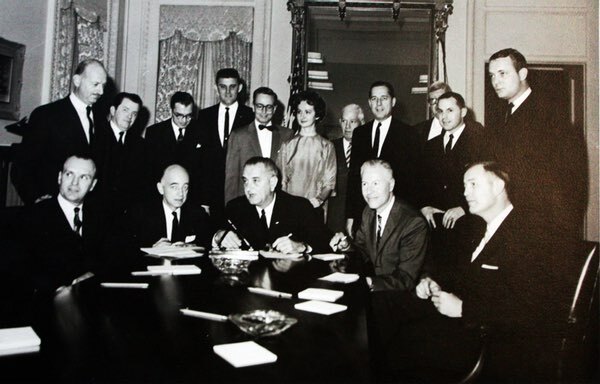 The Council (as outlined in 1958) comprised the President, the Secretaries of State and Defense, the NASA administrator, the Chairman of the Atomic Energy Commission, and up to four other “distinguished” members as appointed by the president. Such a Council would certainly have been valuable at this crucial juncture, as the United States attempted to institute a national space effort and create a formal structure for the pursuit of such activities. The National Aeronautics and Space Council existed—albeit tenuously—from NASA’s founding until 1973, when it was deemed superfluous and shuttered by President Nixon. Nixon reasoned that the Council had served its purpose, given that America’s various space initiatives had effectively established their operational relationships. And so the notion of a National Space Council lay dormant, as other government offices (notably, the National Security Council and the Office of Science and Technology Policy) took up responsibility for space policy advisement under ensuing administrations. When the National Aeronautics and Space Council—now called simply the National Space Council, or NSpC—was resuscitated under George Bush Sr., membership was extended to a much broader array of cabinet members and White House officials (Vedda 3): Bush’s NSpC included not only the Secretaries of Defense and State, but also of Commerce, Transportation, the Treasury, and Energy, as well as the National Security Advisor, the President’s Chief of Staff, Science Advisor, and the Director of the Office of Management and Budget, among others. This multi-disciplinary roster of high-ranking government officials reflected a bigger trend within the space industry; a shifting of the nation’s expectations of what exactly the role of “space” could be, and just what space could represent to the country, to its national and economic security, and to America’s future exploits off-planet. However, this extensive guest list also put the NSpC in danger of a “too many cooks” scenario. Indeed, according to a paper published by noted space policy scholar James Vedda, “bureaucratic turf battles,” “adversarial relationships,” and non-cooperation between NSpC staff and Congress all contributed to a less-than-effectual Council which was scrapped by the incoming Clinton administration in 1993 (Vedda 3-4). October 5th’s meeting of the National Space Council was heavy on rhetoric, but vague on strategy. Given the mixed results of previous administrations’ National Space Councils, the Executive Order establishing this latest Council was met with optimism by some, and bewilderment by others. Two-and-a-half decades after the last NSpC was scrapped, the current administration’s plans for the reestablished Council are, ostensibly, to “focus on human space exploration and the augmented use of public-private partnerships”—while serving to reaffirm this country’s leadership role off-planet. Fittingly, given the breadth of America’s in-space interests, the October 5th Council meeting touched on a broad range of space-related issues. In terms of human space exploration, Vice President Pence hammered home the new administration’s interest in returning astronauts to the surface of the Moon (and establishing a foothold in cislunar space). He also made sure to highlight the important role that private industry will play in furthering deep space exploration. 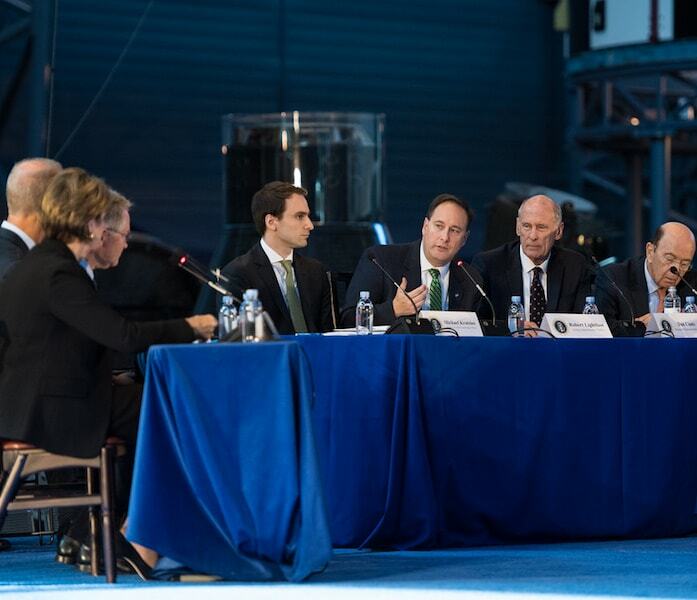 The meeting included panels on both commercial space development and military space utilization—after all, national security is, and always has been, a major driver of government-led space initiatives. In his opening remarks, Pence also returned to a theme that his campaign first began pushing during the 2016 election cycle—the notion that America has, in recent years, “abdicated leadership” in outer space. But has America really “fallen behind” in terms of space supremacy, as this administration has repeatedly asserted? The answer is subjective—however, when considering this country’s flourishing entrepreneurial space landscape, this narrative may in fact be downright misleading. If handled properly, the National Space Council has the potential to bolster growth of the American entrepreneurial space industry. Every iteration of “National Space Council” on the books has had, as a key function, the coordination of multiple overlapping facets of space-related policy. As such, these Councils have historically attempted to streamline the nation’s efforts to leverage space for military purposes, for scientific research, for human exploration, and, increasingly, for commercial use and economic gain. The current administration’s Council, however, must contend with a very different commercial space landscape than those overseen by Councils past. Today’s commercial space industry is being shaped by a vast array of ambitious entrepreneurs and innovators and is fueled largely by private capital investment. This reality has prompted some to question whether this latest iteration of the National Space Council, and its intention to restore America to the “pole position in every area of space exploration,” will have a significant impact on America’s blossoming entrepreneurial space sector. While representatives of several big-name space companies—notably, SpaceX, Blue Origin, and Orbital ATK—were present for panels at the Council’s first meeting, some seemed reluctant to echo the Vice President’s assertions that the U.S. has, in fact, ceded a leadership role to other space-faring nations. 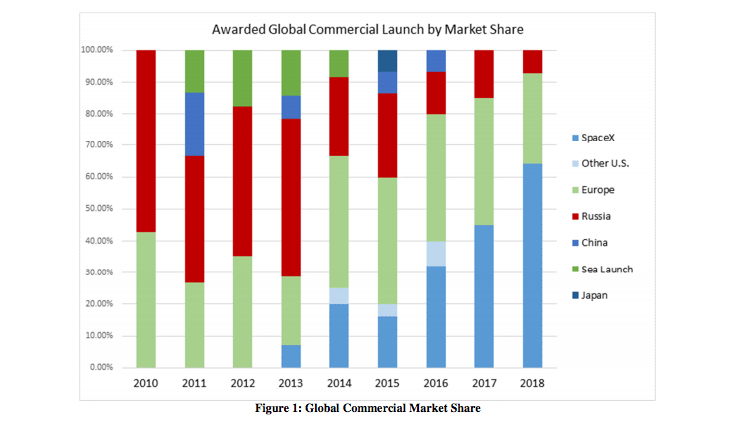 SpaceX President Gwynne Shotwell was particularly critical of this spin, citing the return of launch capabilities to American soil and the ever-growing (domestic) commercial launch market. This is not to say that the Council will necessarily be entirely ineffectual in the face of commercial space activities. A potential positive impact of the new Space Council is the administration’s stated interest in partnering with the private sector to further America’s capabilities in space. If, under Pence, the National Space Council is able to back up their recommendations that such partnerships be more widely used in today’s government space initiatives, this could very well be good news for private industry. NASA’s support for, and use of, emerging commercial space technologies has lead to accelerated tech development in recent years. The National Space Council has an opportunity to make an appreciable impact on the trajectory of today’s entrepreneurial space sector. According to space policy scholars, National Space Councils have historically been an ineffective means of streamlining national space policy. In an interview with Space.com, John Logsden, founder of George Washington University’s Space Policy Institute, cautioned that such councils “have not demonstrate[d] enough value to be made a lasting part of the institutional presidency.” Per James Vedda, in order for this new Space Council to function properly and effectively steer the nation’s space policies, Council leadership must avoid the pitfalls that hindered Councils of previous administrations. 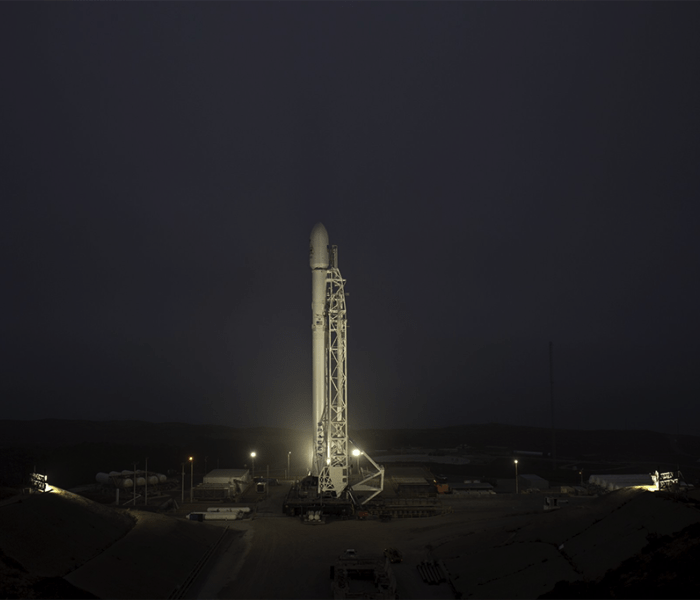 Some, however, are optimistic that the current administration’s interest in expanding the American economy off-planet may well prove a boon to today’s space entrepreneurs. As industry-leading investors in early-stage space companies, Space Angels will participate wherever appropriate to support the administration’s promise to strengthen partnerships between government and the private sector to facilitate growth and proliferation of private space startups.